Patch 2.4 is looming within the week, and there are questions about the upcoming changes. 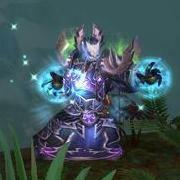 Wyatt Cheng took to Twitter with additional information about changes for the Death's Breath crafting material! While the change of Death's Breaths color has long been announced as coming in Patch 2.4, there was a second small tweak that might not sound quite as big at first glance. The change is that Death's Breaths are now going to be the first item to drop from qualifying monsters. The improved differentiation of coloring, as well as knowing what the first thing you will be able to click is will actually increase the speed of farming by a significant margin. Now players who don't like to pause for too long while in the action will not have to spend that time waiting and squinting to see which drop is a plain rare, and which is the precious crating material. It is always nice to see the Diablo team really taking feedback in, and making such trivial changes to help the player base. The more time you spend in game, the more these little quality of life changes really stand out. Bravo to the Devs on this one. Who is hyped for the Patch? Let us know below! i'm looking forward to the new patch. thanks for the writeup! How long before the builds on icy veins reflect the new patch updates? Love the info you guys currently have, it helped me step up my game big time. We've already updated most of the Barbarian and Crusader builds. Deadset is working at full speed to get the rest done between today and tomorrow. My pleasure! It's so exciting to have this level of content coming to the game!